Mr. Thomas Lynch was appointed Chair of IEHG by the Minister for Health in 2013. Mr. Lynch is Chair of the Board of the Mater Misericordiae University Hospital and has served as a member of the Board of St. Vincent’s Healthcare Group. From 2008 to 2010 he was a member of an Expert Group on Resource Allocation in the Health Service. 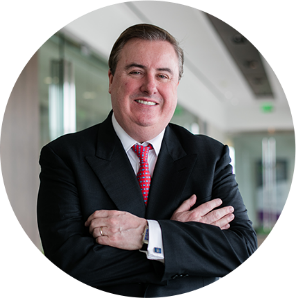 Mr. Lynch serves as Chair or Board member of a number of public and privately held biotechnology companies. He has twenty five years experience in the pharmaceutical / biotechnology industries. Mr. Lynch also served as a member of the Board of IDA Ireland from 2000 through 2010. The Ireland East Hospital Group, one of six Hospital Groups providing acute hospital services, is determined that it will deliver these services to highest international standards of safety, excellence and outcomes. It is our ambition to be an academic health science centre which has been shown as delivering superior patient outcomes and integrating education and research for the benefit of all stakeholders. IEHG is unique in the Irish hospital system in that it is predominantly based on voluntary (independent public) hospitals and its geographic reach includes the greater Dublin area and the counties of Wicklow, Wexford, Meath and Westmeath. IEHG is the largest Group consisting of 11 acute hospitals serving up to one quarter of the population of Ireland. Hospital groups are still in the early stages of organisation and we hope to move towards independent status, in line with Government policy. We are also forging close links with primary care practitioners and community colleagues across our network. This is essential as the diseases of the 21st Century will largely be treated outside a hospital setting. I am very proud of the doctors, nurses, allied health professionals, management /administrative and support staff who work in the IEHG hospitals. Their dedication and commitment has been unstinting over the past number of difficult years. Following a Public Appointment Service (PAS) campaign, the Minister for Health, Simon Harris TD, appointed the following persons as members of the Ireland East Hospital Group Board. These appointments are with effect from 29 December 2017 for a three-year term. Mr Gray is currently Chairperson of the NHS East Cheshire Clinical Commissioning Group Governing Body, based in the UK. He is also the Chairman of the Regenda Housing Association in Liverpool. He is a graduate accountant with more than 40 years’ experience of International Corporate & Financial Governance in the Private, Public and Charitable sectors. Prof Elaine Mead was previously Chief Executive Officer, NHS Highland and is now Executive Director of Improvement, Care and Compassion. Prof Mead works as Faculty for both the Institute of Health Improvement (IHI) and Catalysis, and as Executive Sensei for NHS Improvement, England. She holds the position of Honorary Visiting Professor, University of the Highlands and Islands, was awarded a fellowship by the International Society for Quality in Healthcare (ISQua) and is a current member of QScotland. Since 2016, Ms Casey is the Programme Director for MSc Practice Innovation in Healthcare at UCD’s School of Nursing, Midwifery & Health Systems. In 2010 as Head of Teaching and Learning and later in 2011, as Associate Dean for Graduate Programmes, she led major reform of the School’s taught graduate portfolio that resulted in significant and sustained growth in the School’s taught graduate income. Professor Kelleher is currently Principal of the College of Health and Agricultural Sciences at University College Dublin, which is the academic partner of the Ireland East Hospital Group. She has many years’ experience as a medical practitioner, university academic, public health sciences researcher and public policy advisor to date and has served previously on a number of public bodies, including Safefood and the Food Safety Authority and has chaired two statutory bodies, the Women’s Health Council and the Medical Bureau of Road Safety. Dr O’Doherty has been a full-time General Practice partner for thirty years. He spent eight years on the GP advisory board for the Beacon Hospital in Dublin. He has served on the IMO GP subcommittee for the last number of years and is now treasurer of the organisation. Professor Smith is a Professor of Paediatric and Adolescent Medicine at University College Dublin, Consultant Paediatric Haematologist at Our Lady’s Children’s Hospital, Crumlin, Dublin and Chief Academic Lead to the Children’s Hospital Group. He also holds the title, Honorary Regius Professor of Physic (1637) in the School of Medicine, Trinity College Dublin and is an Honorary Fellow of Trinity College Dublin. Ms Doherty is a former CEO and Registered Nurse. She works part-time as a healthcare consultant, primarily providing executive coaching in the implementation of strategic strategies and quality improvement. She is the secondary care nursing representative on the Wirral Clinical Commissioning Group (CCG) in the UK.